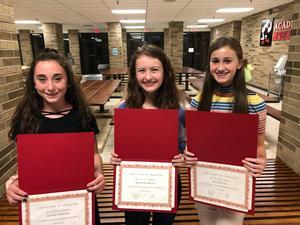 Congratulations to our LMS Students of the Month who were recognized at a recent Board meeting. The online LMS Book Fair will begin November 20 and the in school Book Fair will start on November 26. Click here to shop online! First quarter report cards are available in ParentVue and StudentVue. We will not be sending paper copies home. For several years now, one of our very own LMS students has been making a positive impact in the community. Check out her story on the Today show. Please see the information above for ski club. You can also visit the links below to order ski club gear. Do you have a student taking drivers training in the near future? Be sure to check out this document which explains the Michigan Graduated Drivers License program. Socktober - a friendly competition among advisories. NEW undies and socks are worth one point each, NEW jammies are worth 3 points each, while NEW bookbags are worth 5 points. We’re only collecting until the 24th. Donna's Donuts are on the line! 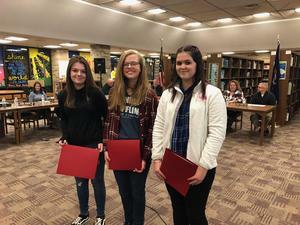 October 5: Congratulations to the September Students of the Month. These students were nominated for going above and beyond the expectations at LMS. Volleyball tryouts for 7th and 8th grade girls volleyball is right around the corner. Please make sure your athlete has a physical on file in the Linden Middle school office prior to the start date. Tryouts will be for 7th grade, October 24th, 25th and 26th from 3-5 P.M. in the middle school gym. 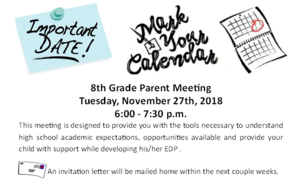 8th grade will be October 24th and 25th from 3-5 P.M. and October 26th from 2:45-4:15 P.M. Make sure your student gets a try out card once their physical is on file in the office. Any questions please email Coach Nester at cnester@lindenschools.org.